Tune in Over Under Sideways Down with your host, Lee Joseph today, Wed 2/21/18 5-7 Pacific and help LuxuriaMusic.com survive 2018. Lee will have several Dionysus items in the Luxuria store as a gift for your one-time or monthly contribution to help the station. When you participate in the 2018 Listener Sponsorship Drive, you’re helping to guarantee the survival of this one-of-a-kind source for music and culture. Once a year, we reach out to our faithful listener-believers to gather the means by which to keep this wild experiment going. If you believe in streaming music you can’t hear anywhere else, hosted by knowledgeable programmers who get it, then you’re one of us. Don’t let your good thing go down without a fight- join us in fighting to keep LuxuriaMusic alive. 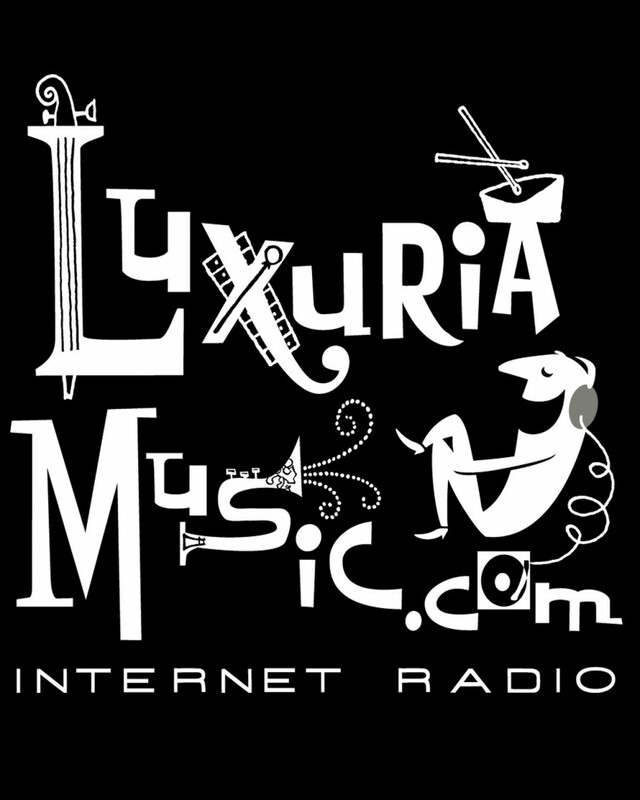 Go to store.luxuriamusic.com and find your way to giving what you can. Take a t-shirt, a record, or a book as a token of our appreciation, or support us with a monthly contribution that sustains us all year long. Whatever your style, we embrace it. Thank you. 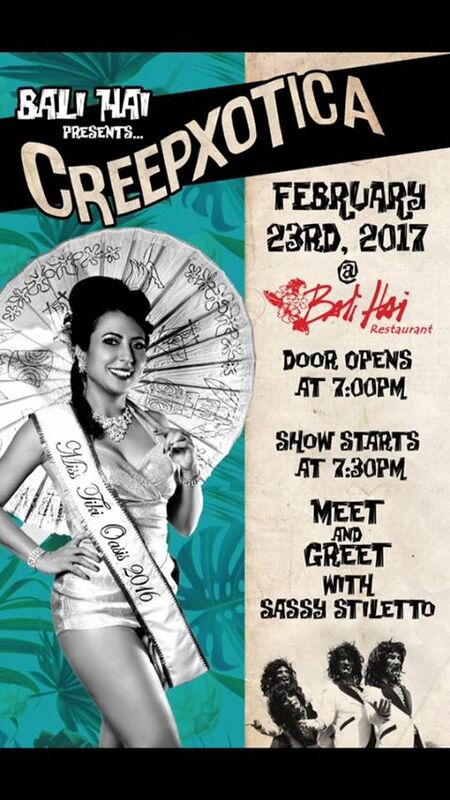 2NITE Creepxotica and Miss Tiki Oasis at Bali Hai San Diego! CREEPXOTICA! COCKTAILS! PHOTOS with Miss Tiki Oasis! 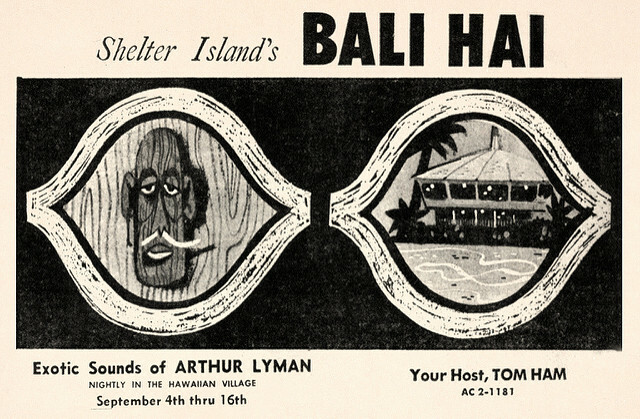 TONIGHT is the night at Bali Hai from 7-10! FREE! All Ages! CONTESTS sponsored by Mr. California, The Girl Can’t Help It and Cavemanteeks! 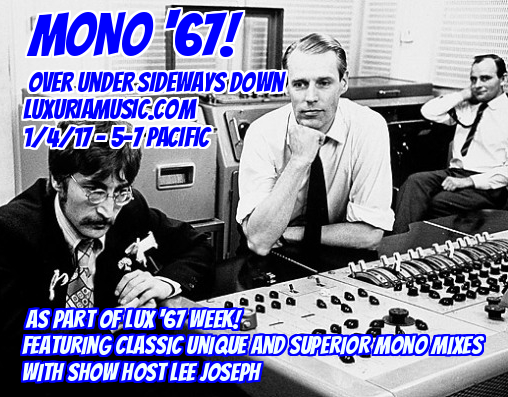 Tune in Over Under Sideways Down‘s Mono 67 special on LuxuriaMusic.com this Wednesday 1/4 from 5-7 PST as LuxuriaMusic celebrates the 50 year anniversary of 1967. 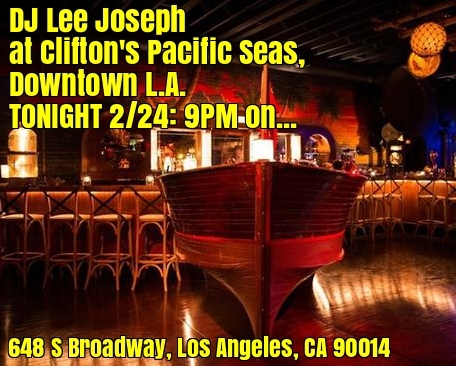 DJ Lee Joseph will play for you many marvelous mono mixes from 1967 released LPs and 45s by The Rolling Stones, Mothers of Invention, Pink Floyd, The Who, Pretty Things, Velvet Underground, Bob Dylan, Jimi Hendrix, The Doors, Small Faces, Big Brother & The Holding Co., Jefferson Airplane, Moby Grape, Grateful Dead, The Hollies, Country Joe and the Fish, Paul Revere & The Raiders, and many more! SD Halloween: Rocket from the Crypt and The Creepy Creeps! 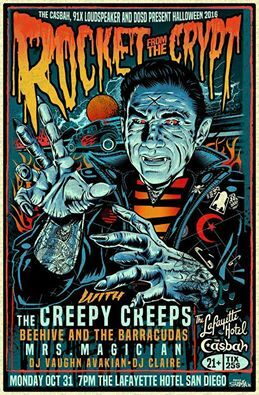 Halloween in San Diego with Rocket from the Crypt and The Creepy Creeps!! New Stereophonic Space Sound Unlimited Release + Video! 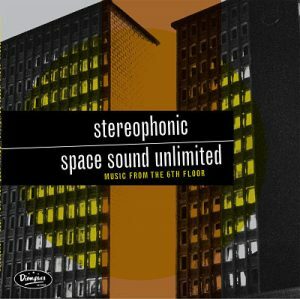 It’s been seven years since the last Stereophonic Space Sound Unlimited album was released. On Friday, September 9, a new Stereophonic Space Sound Unlimited release will be available! 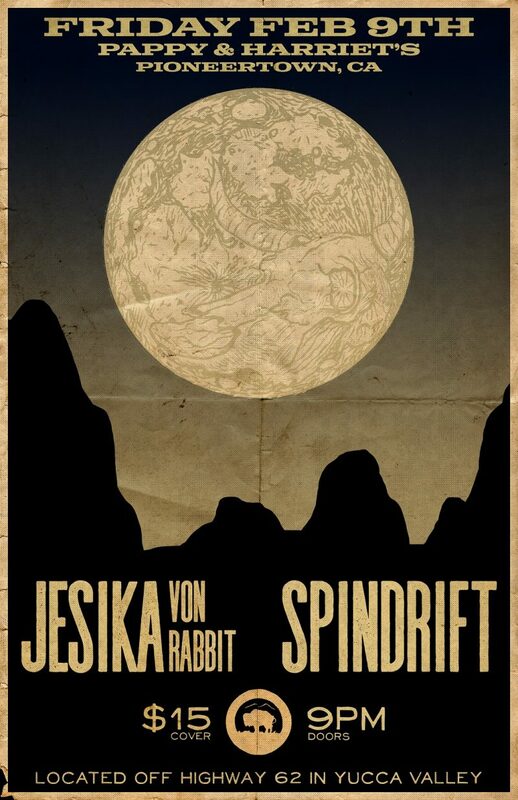 Music from the 6th Floor was written and recorded at their secret lair in a high-rise building somewhere in the foothills of the Jura Mountains. The release contains 14 original and unique tracks will whisk you away into a different dimension full of suspense, romance, and adventure. The album will available on vinyl (first pressing on special color vinyl) with a free digital download code, CD, and digital via iTunes, Amazon, etc. In conjunction with the new LP release, artist David Diehl has edited a new video for SSSU”Night of the Jaguar” can be found below! Tiki Oasis 16: Party on Monster Island kicks off tonight at Bali Hai in San Diego with THREE Dionysus artists! Start time is 6 PM with Jason Lee and the R.I.P. Tides, Creepxotica featuring Seattle’s multi-octave voice, Rachel DeShon, doing a tribute to Yma Sumac, and The Alika Lyman Group, playing a tribute to Alika’s uncle, Arthur Lyman who played the venue several times during his lifetime. Both Creepxotia and Jason Lee and the R.I.P. Tides are fresh from the recording studio where they have completed tracks for their new Dionysus Releases. Headlining the night will be The Netherlands’ The Phantom 4 with guest, surf legend John Blair! 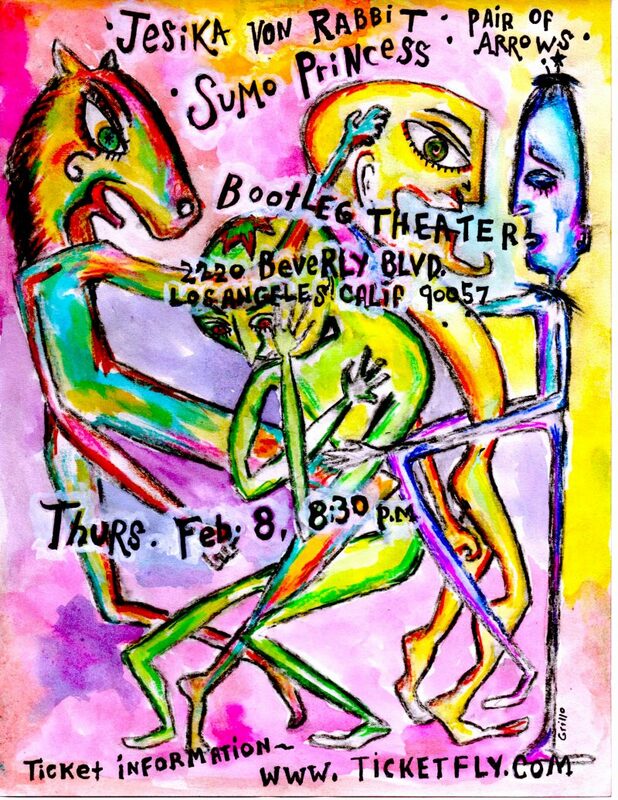 The Creepy Creeps will be co-headlining the event on Saturday opening for The Sonics who will feature in their line-up Jake Cavaliere formerly of Dionysus’ 90s SoCal surf legends The Bomboras, and Evan Foster of Seattle surf legends, The Boss Martians!